Oh wow, a Sun Bonnet Sue! A very traditional pattern. My Grandmother used to make these and she also embroidered Sue blocks as well. The boy version is called Sun Bonnet Sam, I believe. 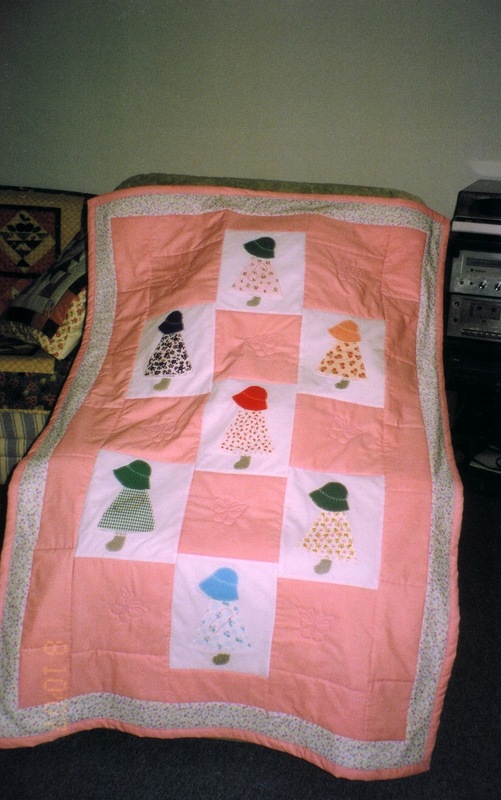 Very cute, and I can't believe the very strange coincidence with the quilts. That is really neat! I can imagine your surprise when you saw the photos. 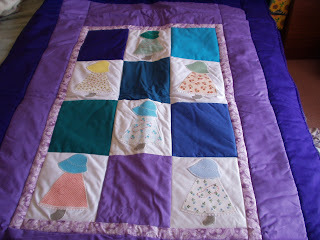 PS, Sewing mends the soul. Yes Janelle, REALLY SURPRISED! You know, that butterflies in your stomach kind of feeling!